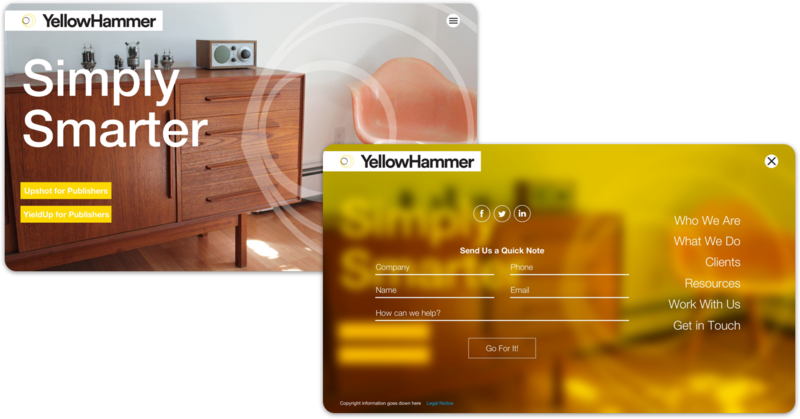 Yellowhammer wanted to be clean, lean and cool. They realized, in order to stand out from competitors, they needed to showcase their no nonsense approach to the business as well as marketing their own proprietary services to potential clients. With this in mind, the UX stragey was clear... Streamline. Of course creating a high quality mobile experience was paramount. Analytics showed 40% of their traffic was coming from on-the-go devices. However, the challenge was to make everything look cool while creating a backend experience that would allow them to update on their own. Part of the new online experience centered around their blog, so we decided to go with a Wordpress set up. Now, of course, the big problem with this is, how do you make a Wordpress site look cool, original and not like a template. So how did we accomplish all this? We developed a completely original Wordpress template. 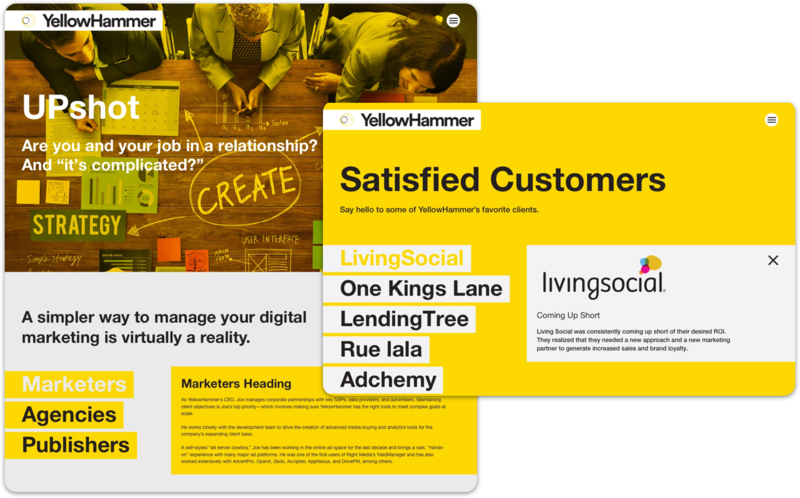 All the originalinty requested with the flexibility to make the experience truly Yellowhammer. We proceeded with the design and strategy as if we were building a custom, one-off build and then converted it to a Wordpress theme that would allow them to continue to grow the site as needed. In the end, the project was really successful. 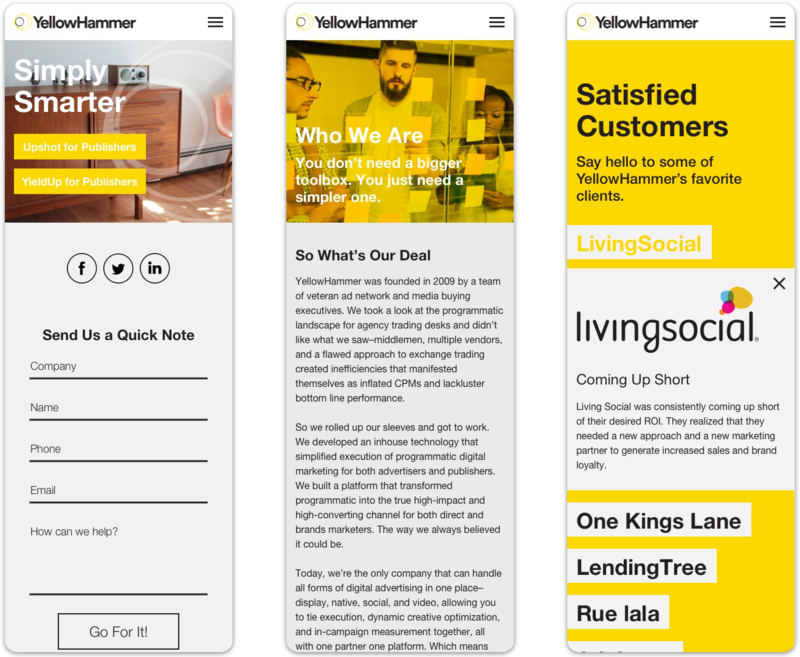 The folks at Yellowhammer got the coolness factor they were looking for while with all the flexibility and managability they needed to maintain and expand their new digital experience for a while.